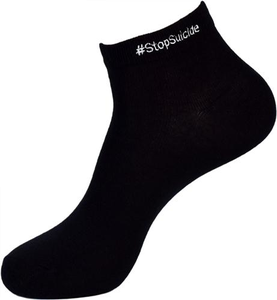 It takes putting one foot in front of the other to stop suicide in its tracks…and what better way to do so than while wearing these comfy black socks with the white #StopSuicide hashtag? 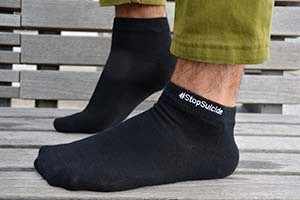 Want to let someone know you’re fighting to stop suicide? Just pull up your pant leg and let your socks speak for themselves. Fits adult men’s shoe sizes 6-9.